The Wooden Walls Mural Project is a beloved facet of the Asbury Park Boardwalk. 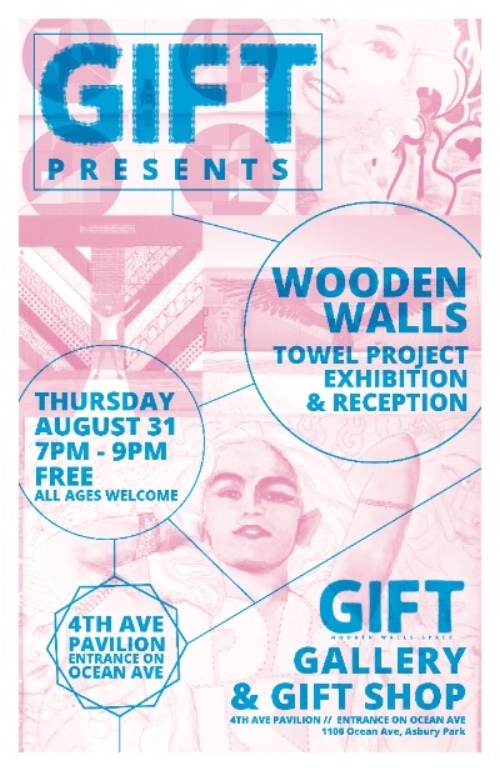 Now the artists and collaborators behind the murals are excited to present to the public the Wooden Walls Towel Project. This exhibition brings the beach together with artwork in a new way and features 14 unique beach towel designs inspired by the murals. Wooden Walls Towel Project is an exhibition of fourteen beach towels inspired by the Wooden Walls murals on the Asbury Park boardwalk. 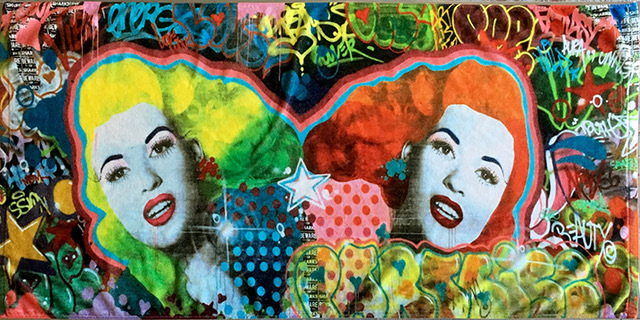 The Wooden Wall Towel Project is a celebration of the murals, the mural artists, and the beach itself. Thirteen Wooden Walls murals are represented, with one artist inspired to create a second towel design based on his mural. The towels are 100% cotton, measure 30” x 60”, and is an edition of 50 towels per design. A portion of sales goes directly to the artists. The celebration of this project will take place Thursday, August 31, 2017, from 7pm - 9pm at GIFT - the gallery/workspace/gift shop - located in the Fourth Avenue Pavilion at 1100 Ocean Avenue , (between 3rd and 4th Avenue), Entrance on Ocean Avenue. During this special exhibition, you will have the chance to pre-order these limited edition towels.